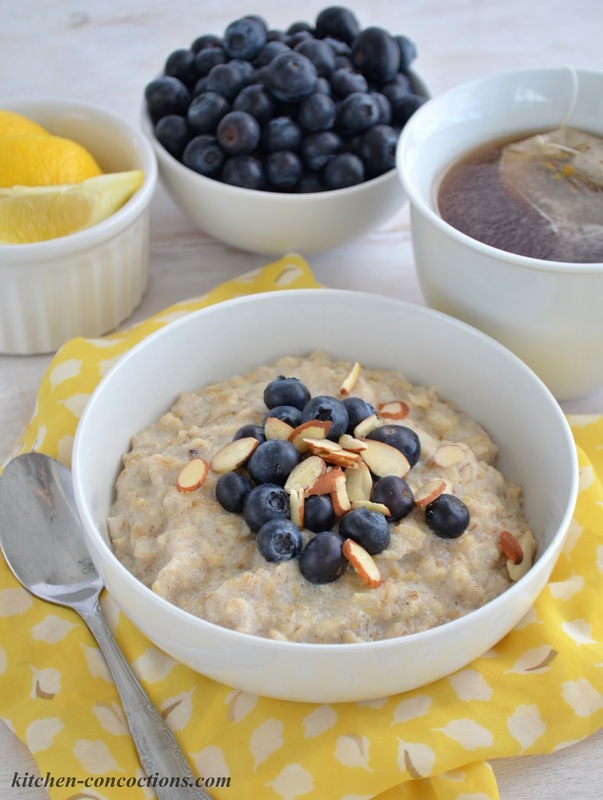 Wake up and get your day started with a hearty bowl of Lemon Ricotta Oatmeal with Blueberries and Almonds! This tangy, creamy oatmeal topped with fresh blueberries and crunchy almonds, is a great way to fuel up for a busy day! How do your mornings start? Are you running around like crazy trying to get ready for work or get the kids out the door? Are you up and at ’em bright and early knocking out an intense workout? Or are you so not a morning person and have to ease into the day to avoid any possible grouchiness? For me, I have usually always been a morning person, but many years ago, I detested the mornings since it meant getting up bright and early to rush out the door, sit an hour in traffic, to go to a job I did not like. Thankfully, in more recent years as my life has changed quite a bit, I have started embracing mornings again. In fact, I love getting up while the sky is still dark and watching the sun slowly roll in over the horizon. I love sitting on my porch with a piping hot cup of coffee, my paper planner in my lap and my mind clear as I begin to plan my day. Once I have sipped every lost drop of coffee, I grab some breakfast and extend my golden hour for a few more minutes before I am forced to get the day going. I am grateful for this little early morning ritual, as it allows me to focus on being my best self and reminds me that I can take on the day! As I have mentioned before, my normal breakfast options are fruit and yogurt parfaits or smoothies, if life is calling and I have to cut my morning routine short. But to be honest, I have gotten kind of bored with these “go to” breakfast choices. So I decided I needed to change things up and add a little variety back into my morning routine. 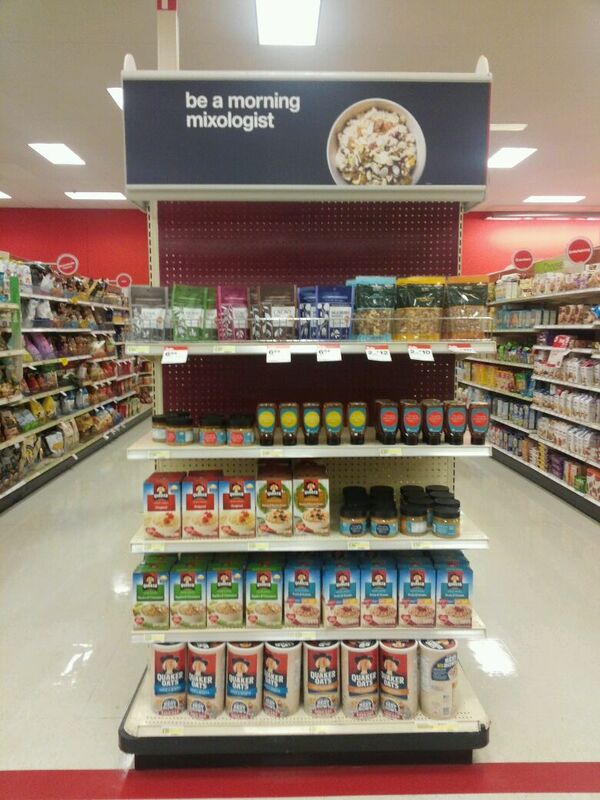 Recently, when I was running an errand at Target, I spotted a special display for Quaker® Oats, which included several “mix in” suggestions. I was instantly reminded that at one time in my life, oatmeal was the only thing I ever ate for breakfast because I loved how filling it was and how I could change it up – like a million different ways. So, I decided to grab a big container of Quaker® Oats and a bunch of “mix ins” while I was at Target that day and have since revamped my morning breakfast. 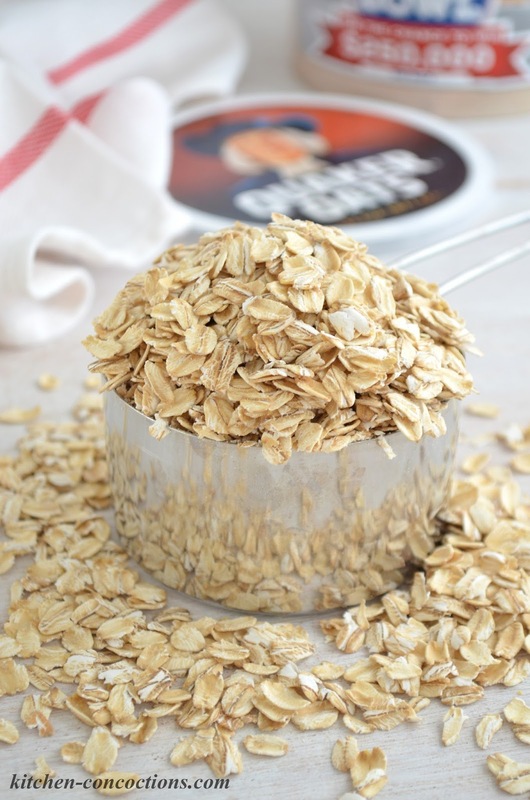 Oatmeal is the perfect blank canvas for all kinds of sweet and savory flavor profiles. It is so easy to change up each morning by adding fresh or dried fruit, nuts and seeds, herbs and spices, over easy eggs, bacon or sauteed veggies. 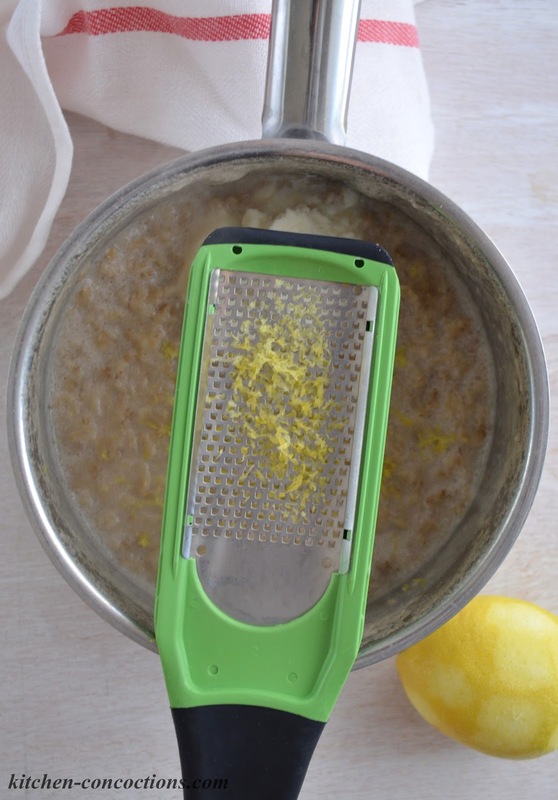 Over the years I have shared countless oatmeal recipes and it has been way to long. 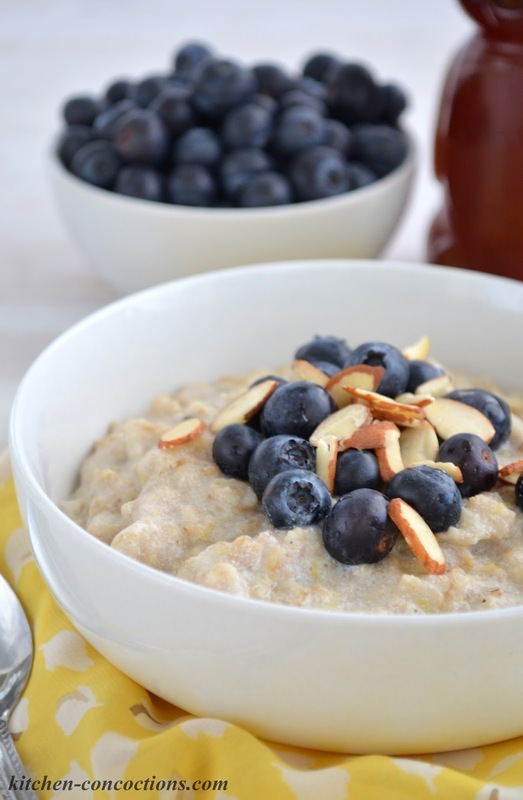 To bring back my love of oatmeal, today I am sharing another oatmeal recipe this time for Lemon Ricotta Oatmeal with Blueberries and Almonds. And not to toot my own horn or anything, but this is probably one of my best bowls of oatmeal yet! 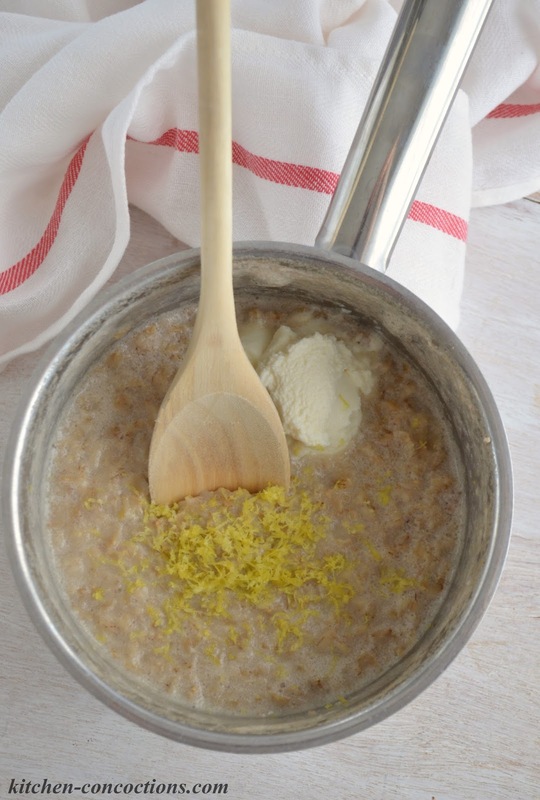 This bowl of Lemon Ricotta Oatmeal was actually inspired by my mother-in-law. Unfortunately, due to some recent surgery, she has been bed ridden for a couple of weeks. To help her out, I have been cooking and bringing meals to her. Since she is Italian, she has been asking me to bring some of her favorite Italian foods. Ricotta is a staple in a lot of sweet and savory Italian dishes and I love how well lemon pairs with it. One morning after making my mother-in-law some dinner the night before, I had a little ricotta leftover and decided to throw it in my oatmeal. Paired with a few other simple ingredients and just a few short minutes later, I was in oatmeal heaven! This velvety, tart and tangy oatmeal is topped with plump, juicy blueberries and crunchy almonds for the perfect bowl of oatmeal! I have had it for breakfast several mornings in a row and can’t get enough! Since I am back to enjoying a big bowl of oats each morning for breakfast, I’m curious, what are your favorite oatmeal mix ins? Please share in the comments below! Tangy, creamy ricotta spiked oatmeal topped with bright lemon zest, fresh blueberries and crunchy almonds. Heat a medium saucepan over medium high heat. Stir in milk, water, oats and honey; bringing mixture to a boil. Lower heat to a simmer and cook, stirring occasionally, for 5 minutes or until liquid is absorbed and oats are tender. Remove from heat and stir in ricotta cheese and lemon zest. Serve immediately topped with blueberries and almonds. 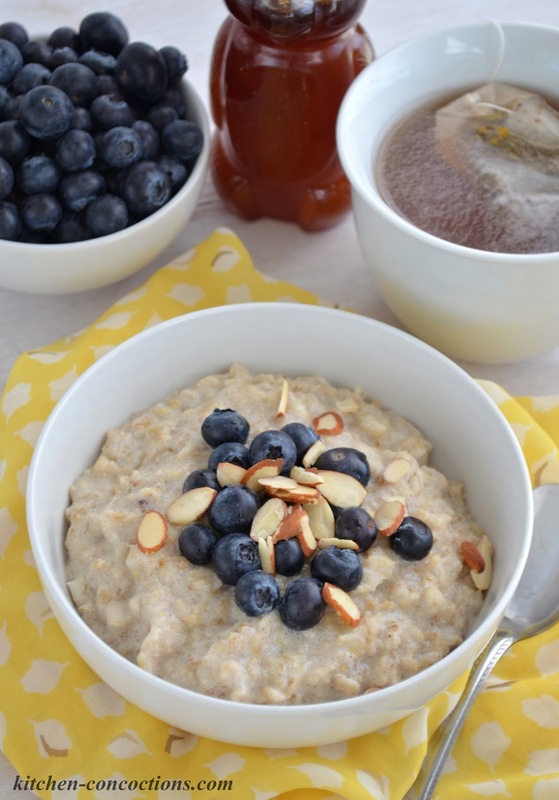 Do you love to get your day going with a big bowl of oatmeal? 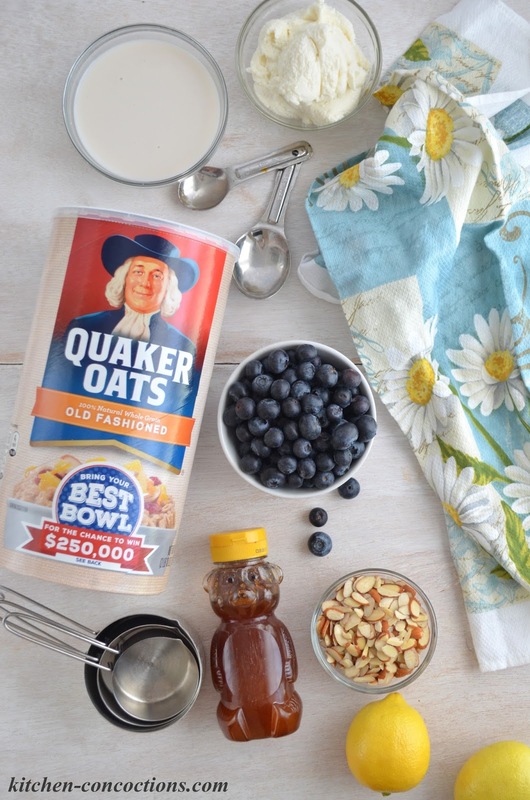 Think you have the best bowl of oats in town? 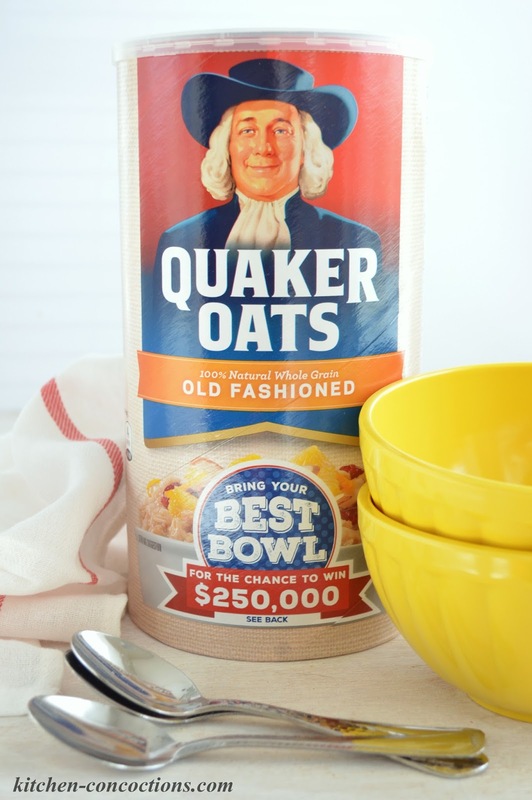 Enter the national “Bring Your Best Bowl” sweepstakes for a chance to inspire the next Quaker® Oats flavor! Top recipe entries will be created and sold in stores for a limited time in Fall 2016 and you could win $250,000! Contest starts January 2016 and ends March 12, 2016, with the winner announced November 2016. Recipe entries should contain between two and five ingredients (not including the oatmeal product, water and/or milk). For recipe ideas and ingredient inspiration, look for special displays at your local Target. For more information, check out select Quaker® Instant Oats (Original and Maple Brown Sugar) and Quaker® Oatmeal Canisters (Old Fashioned and Quick One Minute) or visit the national “Bring Your Best Bowl” sweepstakes website for details and official contest rules.